What can we do to improve SCID? Severe Combined Immunodeficiencies or SCID is a devastating group of diseases by which babies are born without a functioning immune system. No immune system means that they can contract any infection or virus they are exposed to, without any means of defending themselves against them. Babies born with SCID rarely survive beyond their first year of life if they are not diagnosed and treated on time. However, the disease can be cured if it is rapidly diagnosed and treated. A first step to ensure this would be the inclusion of SCID screening in the routine newborn screening national programmes in Member States. This is already a reality for Norway, Iceland, Switzerland, Israel, United States or Taiwan. 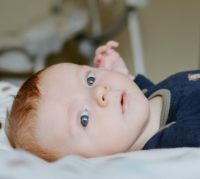 Several EU countries are assessing its implementation in 2019 or 2020, but the longer it takes, the greater the chances of losing babies’ lives due to this life-threatening disease. As the Norwegian National Unit for Newborn Screening explains, “we screen because we can treat and cure!”. Indeed, we are fortunate that SCID can be cured if diagnosed and treated on time. 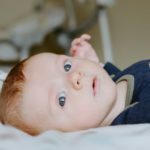 Babies born with SCID can undergo a hematopoietic stem cell transplant or receive gene therapy to try to correct their defective immune system. A genetic therapy for a specific type of SCID was the first-ever EU authorised gene therapy, and additional research in gene therapy for SCID and primary immunodeficiencies is currently ongoing ! IPOPI is involved in two EU funded research programmes (SCIDNET and RECOMB) aiming to develop gene therapy for other types of SCID (covering up to 80% of SCID in Europe). Diagnosis and research on new therapies that bring better health for patients can only have an impact if those therapies are available and accessible to patients. A big challenge today for the patient community, especially in the field of rare diseases, is to help reconcile the need for personalised medicine (most appropriate and effective for patients and, in the long term, cost-efficient) with short-term healthcare budget policies of EU governments. The original article was published on Health First Europe.